I found a great tutorial on this website. Use hot glue to attach some yo-yo’s to the front of a blank card. I attached some ribbon first for some added color. 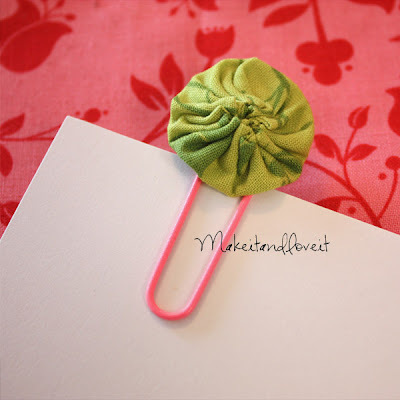 You could also attach a yo-yo to a paper clip to use in your office to bundle papers or you can use one as a book mark. 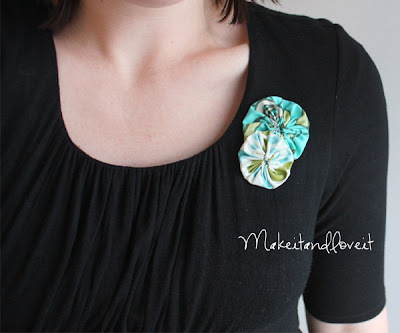 Or you can add some to your favorite black dress. Or a shirt, or a purse, or anything else you think of. That is super cute Ash, and I think I might even be able to do that one. :) I love how it looks on your dress! I love the yo yo’s~ I saw them last week at Joann’s was so tempted to by them but a little more than I wanted to spend! I am glad I didn’t by then now!! 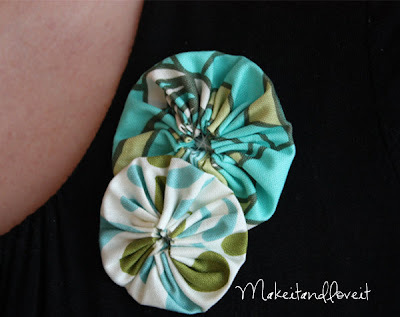 I can’t wait to make some with all the extra fabric scraps. Thanks so much for sharing your wonderful craftiness!! Do you have a tutorial for a diaper bag? I’ve been dying to make one and I haven’t seen exactly what I want. Do you eventually put all these new ideas on your side bar? I would LOVE to do them…but dont have time now. Hey Ashley. I don’t know if you remember us, but we were in the 17th ward back in the day. Anyway, I found your blog through Kenzie’s blog. I love all of your ideas! I’m not creative enough to think of my own things, so I’m glad I found your blog. Hope all is going good with you guys! 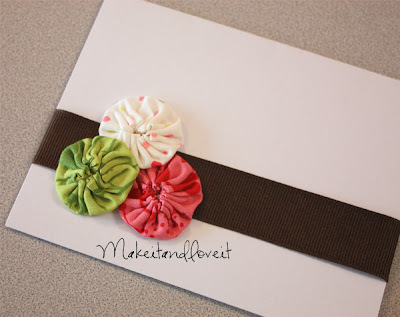 I love this idea..especially on the envelope and shirt..very cute! Hiya…. love your sight! I just found it the other day. The link to making the little circle things is broken. Could you please tell me how to do it? Or post another link to a different tutorial?? Sari, the link still seems to work. But here is the whole link, so you can try copying and pasting it into your own browser. I really liked the ideas and your photos on using the yo-yo’s. Just about everything I make I put yo-y’s on.